I’ve had a lot of people tell us they’re surprised our kids play games as often as they do. What isn’t astonishing to me is that many times those are parents who aren’t actively engaged in interacting with their kids in the first place. I see parents who are more interested in getting a babysitter to watch their kids so they can have time with adult friends. I also see others who over-enroll their children in planned activities then sit on the sidelines surfing on their phone. While I totally get that parents need down time, the amount of time you get with your kids is limited. Even though our kids enjoy playing games with us, they’re at an age where we have to balance family bonding time with schoolwork, extra curricular activities and time with their friends. Then there is the segment of parents who are anxious to replicate the amazing bonding time we have but cannot figure out how to get their kids interested. The key is to play games that interest others, even if you have to stretch a little. 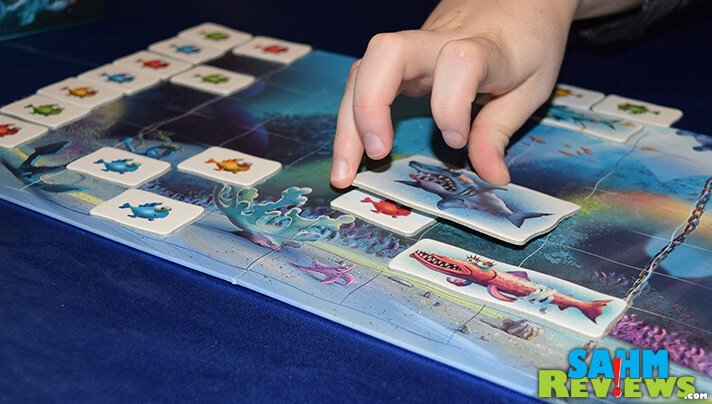 As an example, if your child is a fan of Finding Nemo, then Reef Route from Brain Games Publishing might resonate. The story behind the game is that you’re a fish who has been pushed out of the reef and to deeper waters. Your goal is to get past obstacles like sharks and other predators in order to return safely home. Sound familiar? If framing a game in a way that sparks their interest then use it. From there, move on to kids’ versions of hobby games. 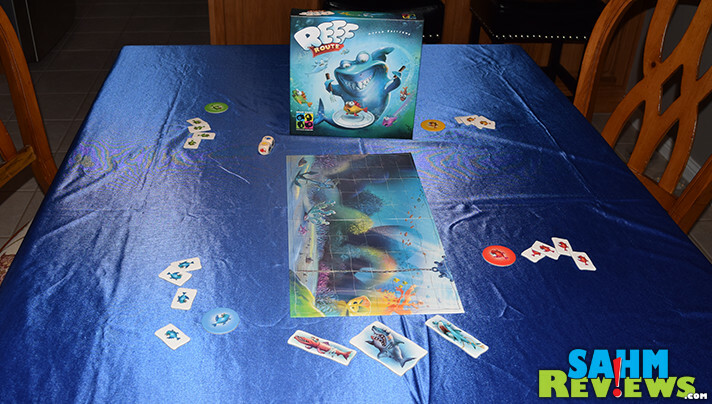 Reef Route is designed for 2-4 players, including kids as young as five. That doesn’t mean that it’s limited to young kids. With an expected time of 15 minutes, simpler games are a nice break in between heavier games or when you want to play something quick. Besides, there’s some strategy involved in getting your fish back home safely, you know. 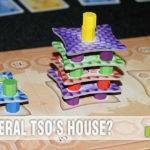 When we play games like this with our regular gamer friends, it is just as much fun to help them NOT win and that often ends up being the goal. With kids, however, it’s normal game play so let me explain the rules. There are four different colors of fish. Everyone selects a color. Place the board in the center of the table and randomly select three of the predators and place them on the rightmost column of the board. Note: The larger the predators, the more difficult the game so consider using the smallest three predators when playing with young children. 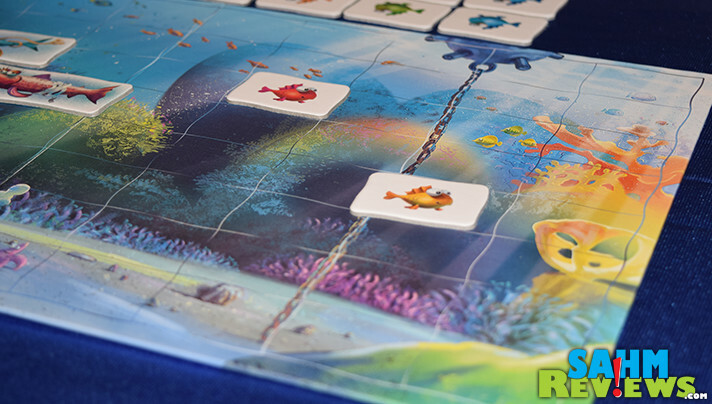 Taking turns, add your small fish to the left side of the board. The first fish you add must be in the starting column closest to the reef. On your turn, roll both dice. Dice indicate what you’ll move and each represents one space. If you roll a predator, you’ll move that first. They always move before you’ll be able to move a small fish. Predators are able to move up, down and forward. They can’t swim backwards because that just wouldn’t make sense. If it moves into a space where there’s a small fish, can you guess what happens? Sushi lunch! Well, technically just a snack. They’re small fish. If you roll a small fish, you’ll move the one matching the color on the die. If it’s your color, you must move it forward, up or down. If it’s a fish belonging to an opponent, you may only move it forward. If for any reason you are not able to move the fish that is rolled, you simply ignore it and move the other. 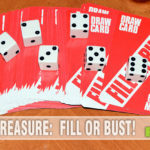 If both dice are invalid, you may select any one small fish to move forward one space. 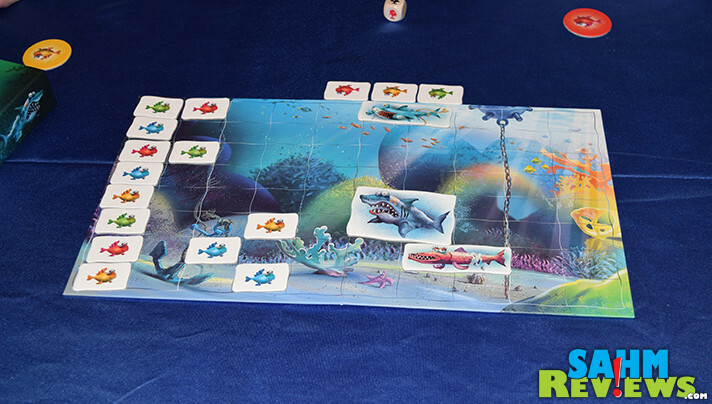 The game is over when one player’s fish successfully reaches the coral reef or if the predators have managed to eat all but one color of small fish. In that case, the winner is the only player remaining. 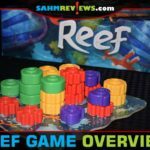 You can reel in a copy of Reef Route on Amazon or your local game store. Fish around on Facebook and Twitter to see what else Brain Games is chillin’ with. Most notably are Ice Cool 2 and Pyramid of Pengqueen, two successors to Ice Cool that will be hitting the market soon! Stay tuned and maybe we’ll feature them! What was the last fish-themed game you played? 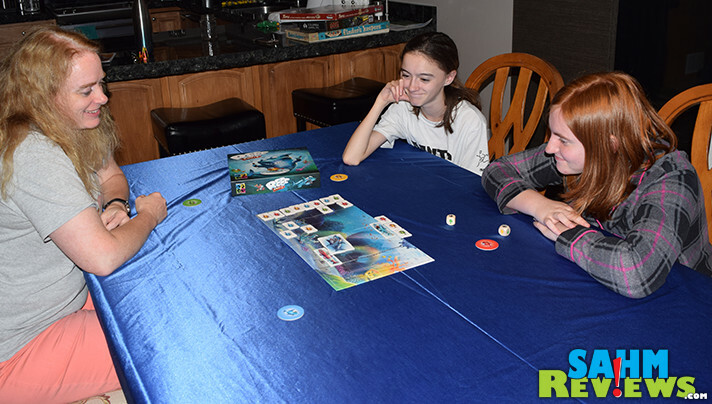 Reef Route is a fun and tactical board game about outmaneuvering your opponents while staying clear of your predators! The first fish to safety, or the last fish still alive and swimming, wins the game. This fun game helps children learn spatial thinking:, basic strategies, sportsmanship, winning and losing with a positive spirit. 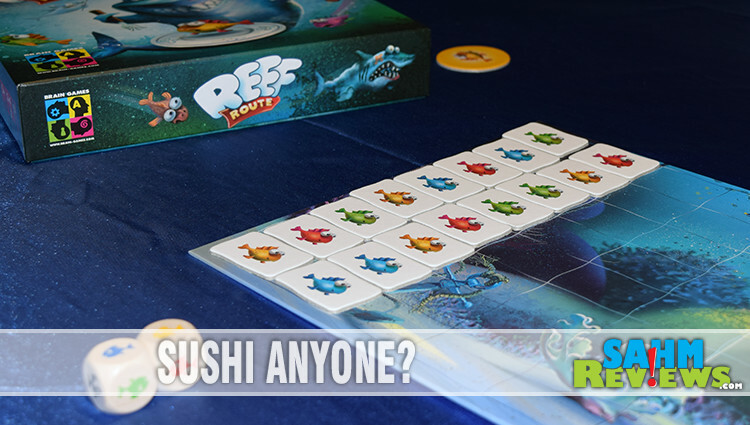 Reef Route is fun enough as a kids game, but makes a couple of odd choices. There is a lot of direct interaction where you are choosing to eat the fish of other players. This may be a bigger problem for some kids than it will for others, but be warned. For a game geared toward 5 year olds, it can certainly lead some unhappy moments. 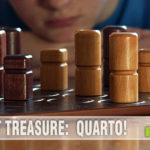 I enjoy finding simpler games that can include our younger grandchildren. When they visit we try to limit the amount of screen time and let them know that we are always willing to play a game with them. Even though they sometimes fuss about turning off the TV or tablet, in the end they are fully engaged in a game.